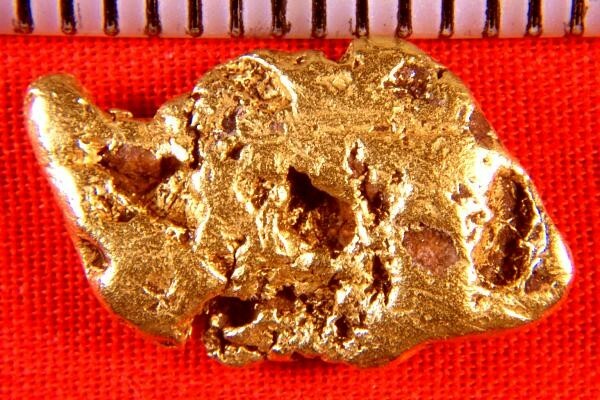 This is a super nice Alaskan Gold Nugget from the Bering Sea in Nome, Alaska. In fact it is one of the most gorgeous nuggets I have seen come out of the Bering Sea. The color and texture are amazing. It weighs in at 5.08 Grams (78.4 Grains). It is over 3/4" (21 mm) long and has beautiful color and nice smooth sides. It was recovered by on of the dredges shown on the Discovery Channel TV show "Bering Sea Gold", where they are dredging off the coast of Nome, Alaska. 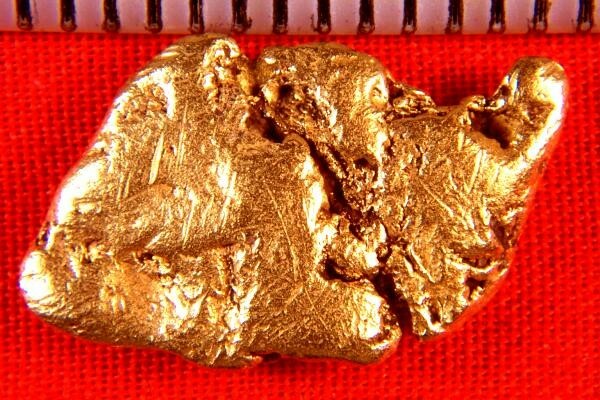 This is a really gorgeous Alaskan Gold Nugget.